Alexander was born on 14 July 1886 (birth certificate number 1886/066595) we can only assume in Aratapu in the northern Kaipara region. The earliest mention we have of Alexander is in the New Zealand Herald on 27 October 1902, where he appears as a witness in the wreck of the ship “May”. The “May” was under tow from the “Pilot” when the toe became dangerous and the “May” was cast off. The “May” was wreaked a few days later further down the coast unable to enter a safe Harbour. “In reply to examination by Mr. A. Rose, Collector of Customs, Alexander Stanaway, a rafter, employed on the Pilot, described the crossing of the bar, about midday on Thursday, October 16. The towline was cast off about three o’clock in the afternoon. The May at the time was making better progress than the Pilot, and taking her steerage way off. From this we see that he was employed on the steam tug “Pilot” as a “rafter” at the age of about 16 – which might suggest that schooling for him finished by his early teens..
Like his older brothers he enjoyed sport, in particular rugby, in 1905 he was a member of the Aratapu second Juniors – winners of the 1905 Caps, under the Northern Wairoa Rugby Union. His team played five matches, won four and drew one. It scored 48 points, and had 15 points registered against them. Aratapu Second Juniors – Winners 1905 Caps – Alexander back row on left – Sir George Grey Special Collections. In one of New Zealand’s more bizarre sporting fables involves the 1908 Maori footballers who allegedly changed from rugby union to rugby league after an impromptu team meeting on the Sydney docks. They were content for history to record that they left their homeland intending to play the 15-a-side game in Australia, only to switch codes when unexpectedly met by officials of the fledgling New South Wales Rugby League. Although the 1908 tour ended in chaos amid legal action, abandoned games, and desperate fund-raising to pay their debts and secure passage home…. Another Maori touring team was invited back to Australia in 1909…. Alex Stanaway … were other members of those early Maori touring teams to subsequently play for the Kiwis. Alexander in 1908 tour team photograph – NZRL 75th Jubilee Programme. 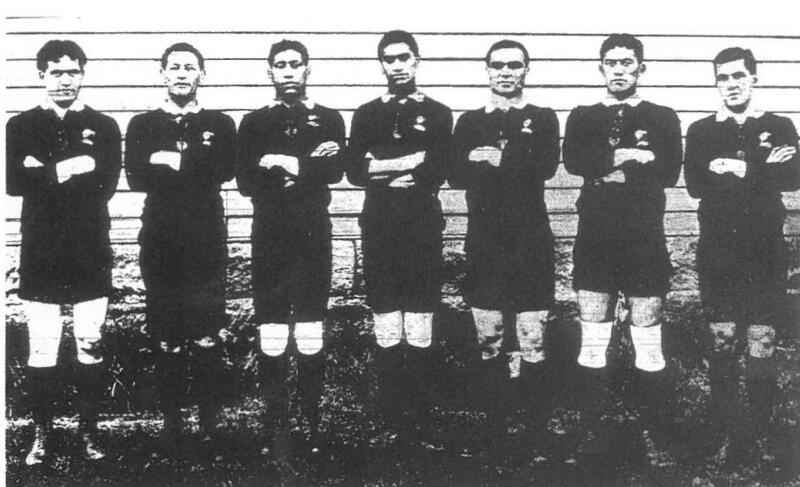 While the All Gold’s were in the latter stages of their Australian tour, a group of Maori footballers was assembling under the guidance of renowned All Blacks wing Albert (Opai) Asher in Tauranga, with the intention of touring Australia. What the NZRU, which had been constituted in 1892, thought about Asher and his squad has not been reported. But it is known that Maori players were unhappy about their treatment by the Wellington based union. The first inkling most New Zealanders had of Asher’s actions was from a story on the Bay of Plenty Times of 15 May and circulated by the Press Association. “A New Zealand Maori football team, the first representative football team of Maoris and half-caste Maoris to leave New Zealand, take their departure for Australia during the present month. The team has been organised by Asher, the well-known New Zealand representative, and Mr TJ O’Farrell, a prominent Sydney referee. The men comprising the team hail from Tauranga, Te Puke, Maketu, Matata, Rotorua, Auckland, Northern Wairoa, Hamilton, Taumarunui, Manawatu, Taranaki, Hawke’s Bay, and some members are ex-players from St John’s, St Stephen’s, and Te Aute Colleges. The Maori team duly sailed from Auckland on 25 May, arriving in Sydney four days later. The popular story is that they were surprised to be met at the wharf not by rugby union officials but by members of the fledgling New South Wales Rugby League (NSWRL), led by president Henry Hoyle and secretary James Giltinan, and that the Maori players held a brief meeting before voting to swap codes. At least, that was the version given by Ernie Asher in a 1960s Auckland Star interview. 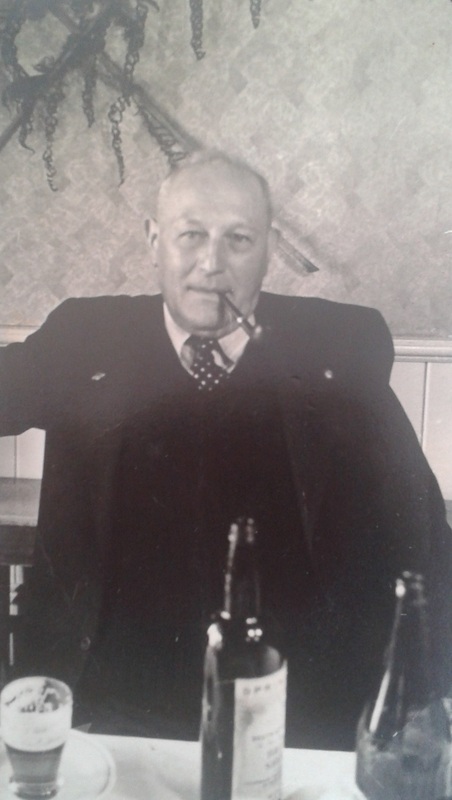 But it is now clear that Albert Asher, who was aware of the distinction between the two codes because of his association with players then on the All Golds tour, knew who he was dealing with. In midweek, the Maori bounced back to defeat Sydney Metropolitan 23-20 in a thrilling encounter at Wentworth Park…..Forwards Ariki Haira and Punga Pakere scored two tries apiece. The second inter-state fixture was a curtain-raiser to the Maori match against Australia, in which they faced the might of New South Wales bolstered by the additions of Hardcastle and former Lismore inside back Ernest “George” Anlezark, who had gone north with the purpose of winning Kangaroos selection. Australia won 20-10 in what the Daily Telegraph described as a splendid match – the game was full of exciting surprises. In the first half the Maori threatened to utterly annihilate the combination of the Australians but had no luck whatsoever. Cabled reports to New Zealand said the game was very fast and exciting. In the early part the Maori carried all before them, placing 10 points to their credit before Australia scored. Tries were obtained by Hone Haira and Papakura. Haira and Ratete were said to be nippy behind the scrums. The Maori responded by winning a remarkable match against another Sydney Metropolitan selection at Birchgrove Park. Messenger was a late inclusion on the wing and the Maori looked down and out when they trailed 13-0 at half time. The team talk must have been inspirational, for the Maori rattled on 34 unanswered points to win 34-13. Said the Sydney Morning Herald: The Maori showed particularly fine combination, dodging, and pace, every man giving a good account of himself, and showed splendid lasting powers. They played a beautiful game and Metropolitan were badly beaten. (Hone Haira scored a try). 1909 NZ Maori Rugby League Forwards. Alexander second from left. – 100 years of Maori RL. No other player was more closely associated with the Asher brothers in the early years of Maori – and in – deed New Zealand – rugby league than forward Alex Stanaway, who, with elder brother Jack, toured Australia in the original 1908 team under their Maori names of Ariki and Hone Haira. While Jack soon afterwards turned his attention to refereeing as the new game became established, Alex went on to fashion an impressive playing career. Jack Stanaway was to earn his own niche in rugby league history as the referee of the first test match played on New Zealand soil, at the Auckland Domain Cricket Ground when England toured in 1910. Meanwhile Alex Stanaway remained with the Asher’s when they returned to Australia with the 1909 Maori tourists, in the Maori team which played against the 1910 Lions, and during the formation and early playing days of the City Rovers club in Auckland. The pioneer players had to fill many off-field roles in that era because there was no established administration and Stanaway served as a selector as well as a participant in representative teams. In 1911 he toured Australia alongside Ernie Asher in the first national side to travel overseas under the banner of the one-year-old New Zealand Rugby League. Several kickers were tried before Haira succeeded with three attempts, two of them penalty goals. At this time he was still single, working as a labourer and living in Railway Street in Ellerslie (NZ Electoral Roll). Also in 1909, Alexander played for the new City Rovers club in the Auckland Rugby League competition and represented Auckland. We know he played against his older brother John, who played for Ponsonby. Around 1910 Alexander meets Margaret Matilda Birkett, and they move in together. It turns out that Margaret was already married although she had an absent husband. 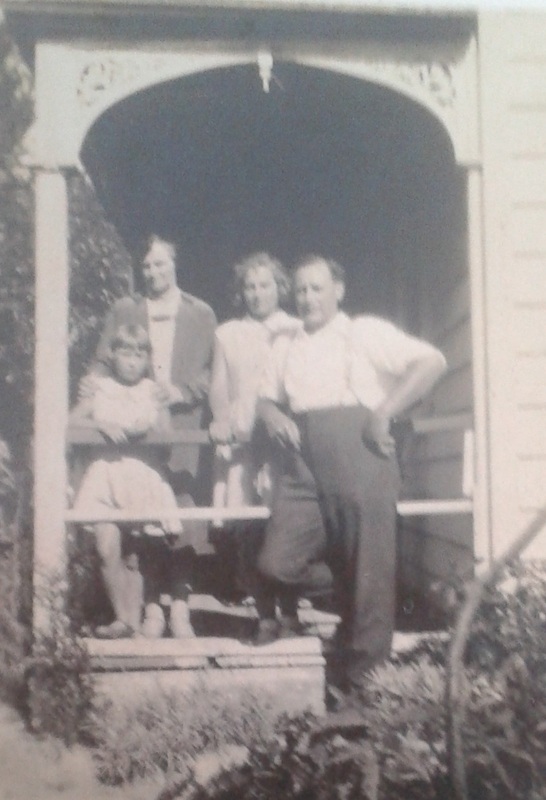 Margaret was born on 14 May 1881 and was the daughter of Stewart Rea and Margaret Wishart, Irish immigrants who settled and farmed in Katikati in the Bay of Plenty. They were members of Mr Vesey Stewart’s first special settlement party, which reached New Zealand on September 1875. Rea was a typical Ulsterman, dour and thorough, who had previously been employed on the Stewart estates in Ireland. About this same time (1910) Alexander and Margaret have their first child Clarence Llewellyn. “A suit for the dissolution of his marriage with Margaret Matilda Birkett was brought by William Edward Birkett, sawmill hand, of Mananui, before His Honor Mr. Justice Edwards, and a jury of 12, Alexander Stanaway being cited as correspondent. Damages to the extent of 150 pounds were also claimed. Mr A.E. Skelton appeared for the petitioner, the other parties not appearing to contest the suit. Petitioner stated that the parties were married at Katikati in 1905, and lived together there for some years. There were no children. They came to town later, when petitioner left his wife in Auckland while he went to Whangape to work. On returning to Auckland, at Christmas, 1910, he could not find his wife in the house where he had left her. After some considerable time he found his wife and correspondent living as man and wife at Ellerslie. She had been receiving money from him all the time. His Honor: You left this young woman in lodgings, with no children, and nothing to do. Why didn’t you take her with you or send for her? Petitioner: Your Honor, she said she preferred to live in Auckland as it suited her health better. Petitioner added that he went to Ellerslie, where he and a witness identified the other parties, who admitted that they were living together, and also admitted being the parents of a child. He had known correspondent before the marriage. After about half an hour’s retirement, the jury announced they had decided that misconduct had taken place, and that damages to the full amount claimed should be awarded. In 1910, the Great Britain Lions toured New Zealand. Stanaway played for Auckland against the Lions. From the New Zealand Herald, 26 August 1911, we have Alexander has been selected in the forwards for Auckland playing against Nelson having already defended their title over both Wellington and Hawkes Bay. His younger brother, Monty is playing in the curtain raiser. 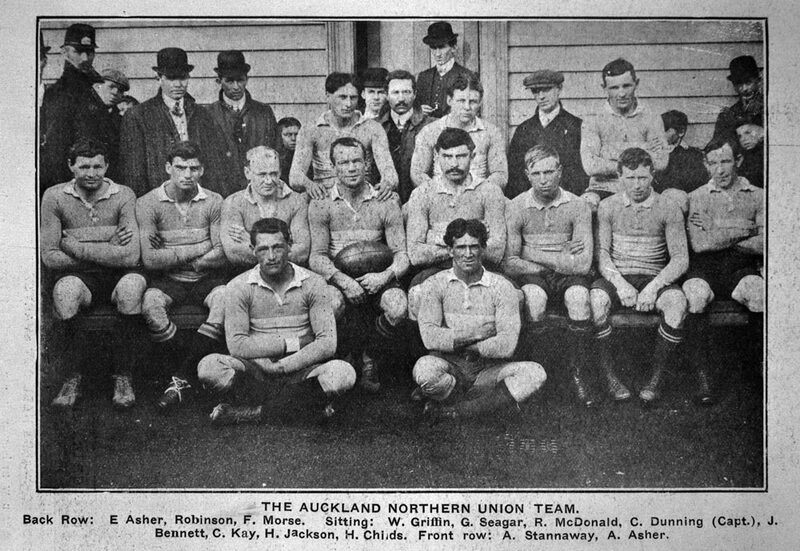 The Auckland Northern Union Team 1911 – Alexander seated front left – Sir George Grey Special Collections. The Auckland Star on 18 September 1911 details the final of the Auckland Rugby League Championship. This game is between City Rovers and Ponsonby United. This game features Alexander in the forwards (he was a prop) for City and his younger brother Monty playing for Ponsonby. Both brothers are mentioned in the article, with outstanding play. The result was double triumph for Alexander, not only are City victorious but he also scored a try, result 35-15, bragging rights no doubt continued until the following season. In 1911, Stanaway was selected to represent New Zealand in their tour of Australia. No test matches were played on the tour. In 1912 Stanaway played for the Auckland side that lost to New Zealand 16-38. On 26 June 1912 Alexander and Margaret have another son Alick (Pick) William, I can see why they did not appear in court – Margaret was due with their second child. In 1914 he married Margaret Matilda Rea (Certificate number 1914/503) they had moved to Portage Road, Otahuhu. The 1915 Otahuhu Football Club annual meeting, mentions three Stanaway brothers, John is part of the selection committee, Alexander and Montrose are both and the club committee (Auckland Star 24 March 1915). Alexander and Margaret with children prior to leaving for Europe. 100 years of Maori RL. 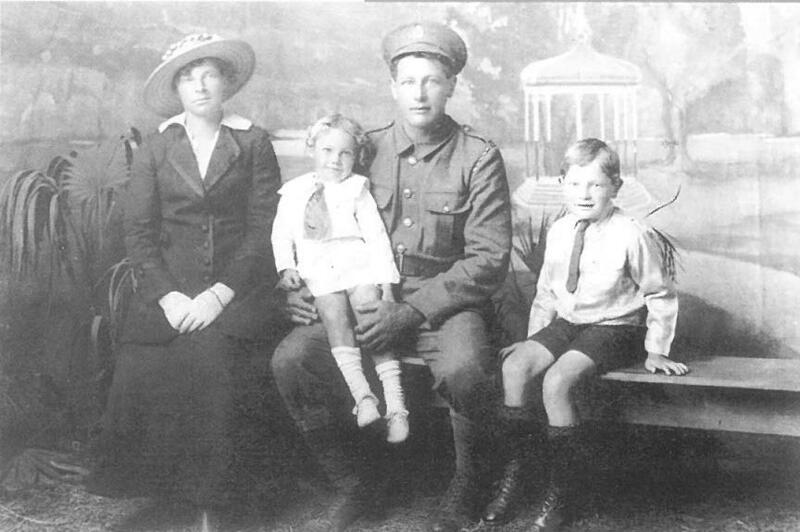 On 4 April 1917 Alexander and Margaret have a daughter – Elva Margaret Stanaway. 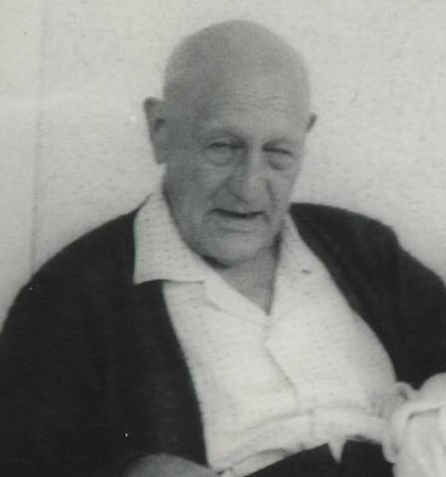 Alexander has already left for Europe – 27 March 1917 only a few days before Elva’s birth. “Research by members of Stanaway’s family has uncovered an eventful war service records work as a freezing works hand for the Auckland Farmers Freezing Company and enlisted in the New Zealand Rifle Brigade in October 1916. Given the rank of rifleman, Stanaway sailed from Auckland on the transport Waitemata in mid-January 1917. Arriving in France, he was attached to the 16th Company of the 1st Auckland Regiment. In the 1919 Electoral Roll we have them living back in Portage Road, Otahuhu with his older brother John James he is listed as a Labourer. On 15 May 1923 Alexander and Margaret have another daughter Norma Susan Stanaway. Alexander and family outside their home in Horitiu – Adams Family Collection. By the 1928 Electoral Roll we have Alexander living in Raglan in the Waikato and listed as a Labourer. By 1935 he has settled in Rotorua in the Bay of Plenty, listed as a Labourer and where he coached rugby league. By 1963 he has retired. On 27 June 1972 aged 85, Alexander dies, he is cremated and buried at the Rotorua Cemetery Sala Street, RSA Ash Berm Block 6A Berm F Plot 29. (Death Certificate number 1972/40806). Five years later on 23 July 1977 aged 96, Margaret dies, and is buried at the Rotorua Cemetery Sala Street, Block 5 section 13 plot 14. (Death Certificate number 1977/44953). In 2014 there were 789 men who had been selected to pull on a “Kiwis” (New Zealand Rugby League) jersey among them at number 65 appears Alexander Stanaway. 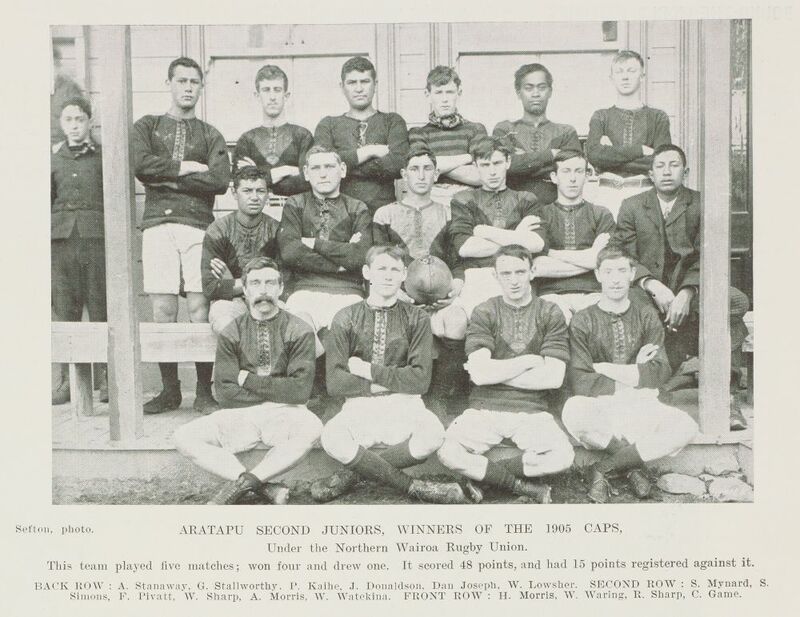 On the 1905 Aratapu team photograph – could the young boy on the very left just out of shot be one of Alexanders younger brothers, either George, Charles, Monty or Lenard? He looks similar to Alexander.